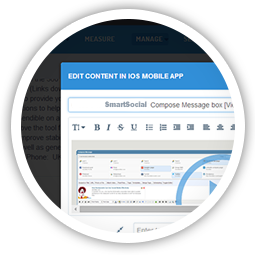 SmartSocial's easy-to-use composition tools, allows you to effectively create content that displays beautifully across all social networks and blogs. 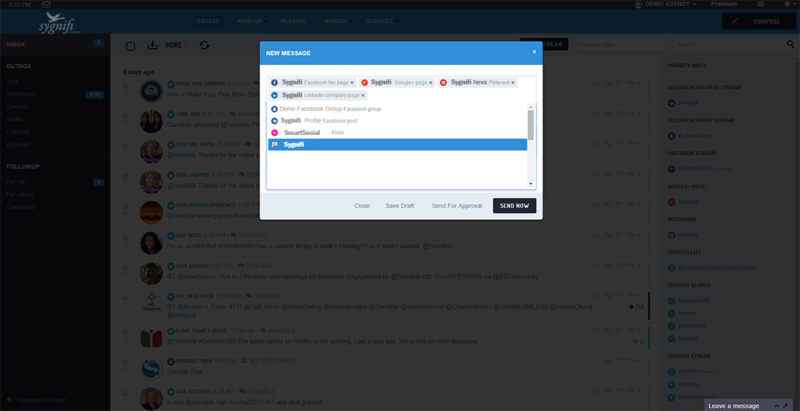 Our intuitive compose message box adapts to whichever social network you're targeting to ensure your posts look great! 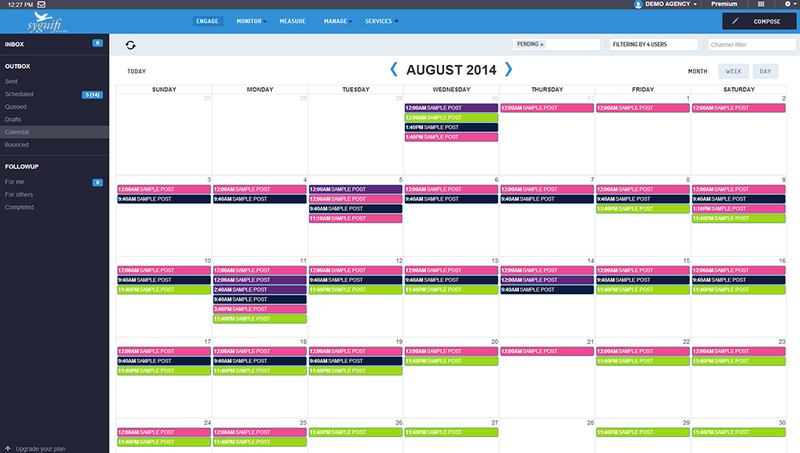 SmartSocial's robust scheduling features make it easy to plan your social media strategy in advance. 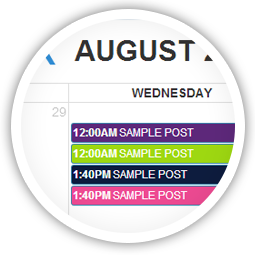 We even analyze your posts to suggest the best time for optimal engagement. 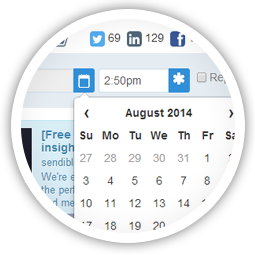 Use SmartSocial's calendar to oversee your scheduled messages. Our interactive calendar gives you a comprehensive overview of publishing activity across your account. 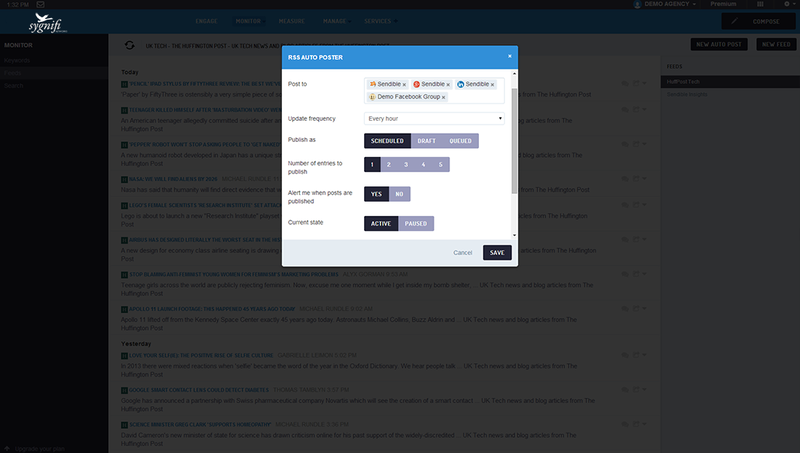 With drag-and-drop functionality, you can quickly and easily re-arrange and optimize your content plan. 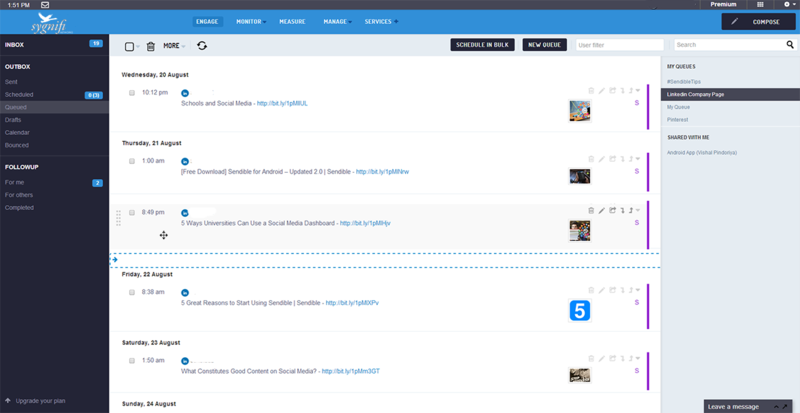 Maintain consistent activity on your social profiles with RSS publishing. 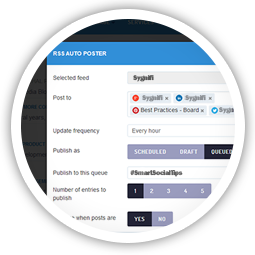 Use SmartSocial's RSS Auto Posting features to publish topical content to your social networks at regular intervals throughout the day. 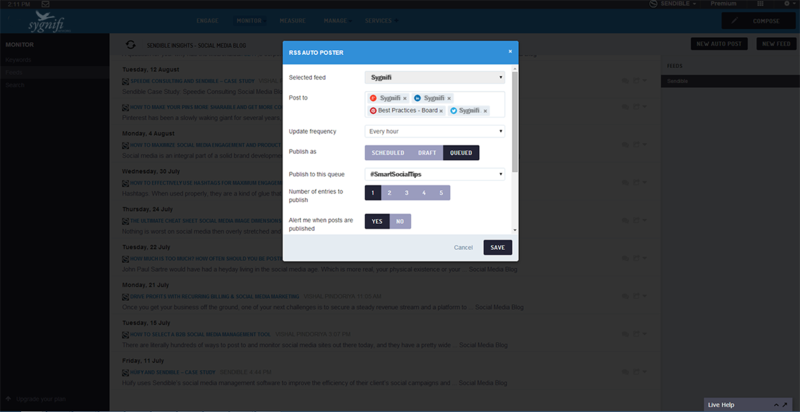 Automatically distribute new posts from your blog to your social channels. 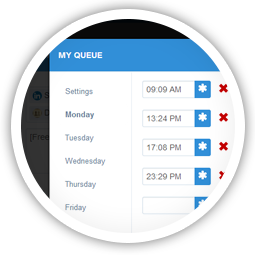 Queue messages to be delivered at optimal times throughout the day. It's not always easy to know exactly when to schedule content to be shared on social media. That's why we've built Smart Queues that allow you to experiment with different publishing times for scheduling your content. 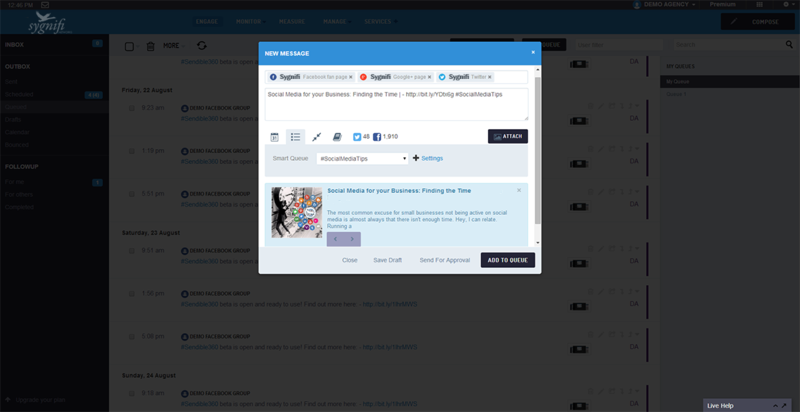 SmartSocial will also learn and suggest the optimal times based on your audience activity. 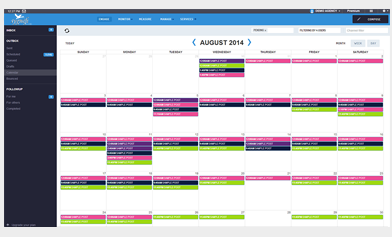 Schedule a month's worth of content in seconds with our Bulk Scheduler. 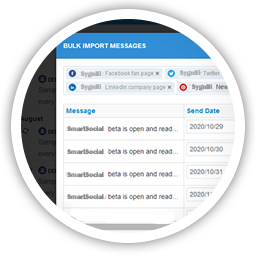 Import content from Excel, a CSV or any other external system to schedule multiple messages in bulk. 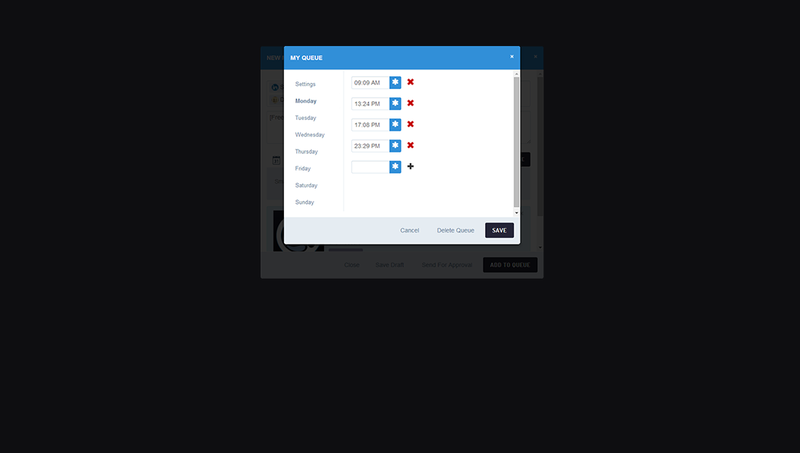 Use our built-in grid to draft and schedule multiple messages for a campaign. SmartSocial is constantly analyzing your social media accounts to determine the best time to post based on the highest probability of audience engagement. Use SmartSocial's calendar to oversee your team's scheduled messages. 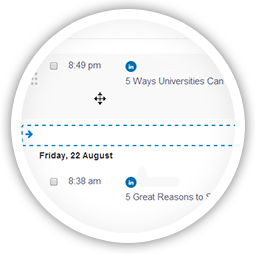 Develop an editorial process by mapping ideas, drafts and content on a calendar. 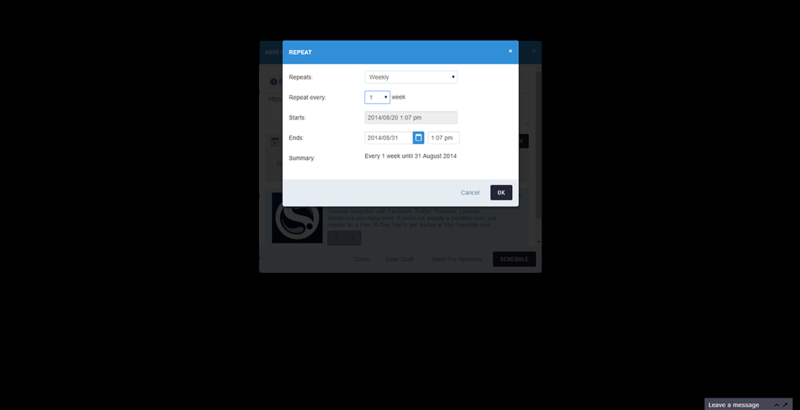 Schedule posts to different social networks and use our filters to see which content is created by whom and which channels it will be posted to. Tired of repeating yourself? Schedule posts to repeat at regular intervals. 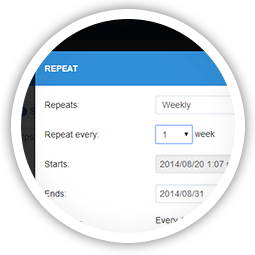 Use SmartSocial's scheduling tools to configure content to be distributed on a daily, weekly, monthly or annually basis. 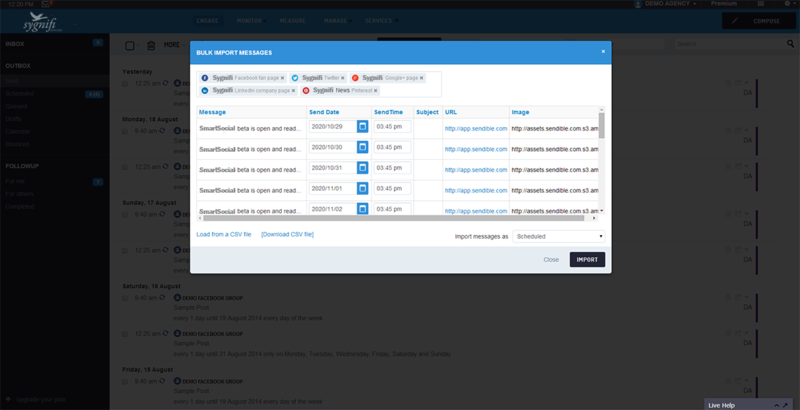 Combine this with our automatic RSS distribution tools and you can ensure that your social media accounts are consistently updated with content. 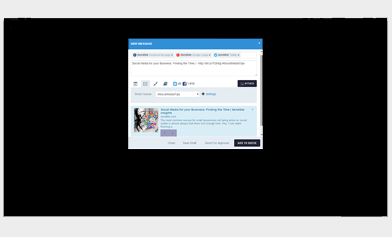 With SmartSocial's Smart Queues, you can easily add content to a publishing queue for automated future delivery. Keep your queue topped up with content you find on the web using our browser extensions, from an RSS feed or even import an entire campaign from a CSV file. Boost social engagement with Smart Queues & optimal posting technology. Built to maximize engagement with social content, our Smart Queue technology analyzes your social profiles to determine the optimal times to deliver content based on usage & engagement probability. 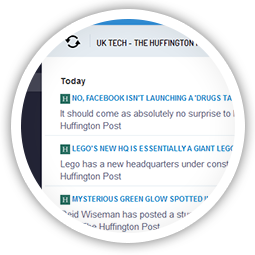 Automatically top up your queues with content from RSS feeds. No time to keep your queues topped up with content? 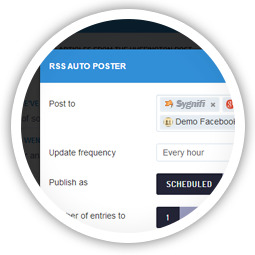 Use the RSS Auto Poster to add content from RSS feeds into your queues as soon as new posts become available, ensuring your queues are always topped up with relevant content. 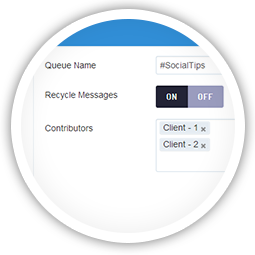 Configure queues to automatically expire content or recycle posts. 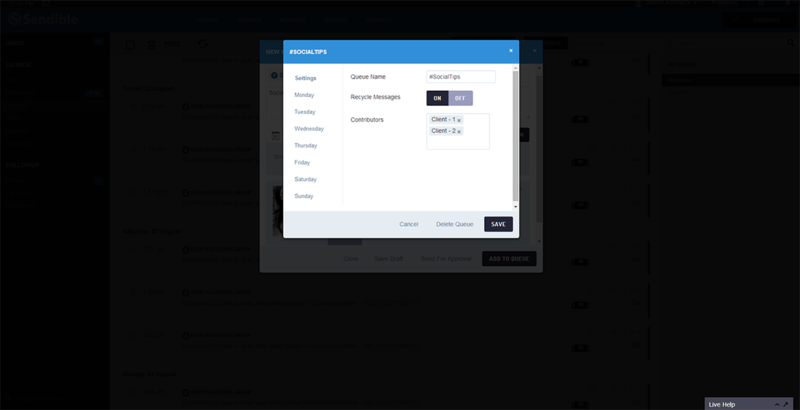 Smart Queues can be configured to either expire stale content immediately or to recycle posts so that they're re-added to the end of the queue once they've been posted. Create your campaigns in Excel, then load into a queue with our bulk importer. Plan ahead by loading all of your campaign's content into a CSV file. 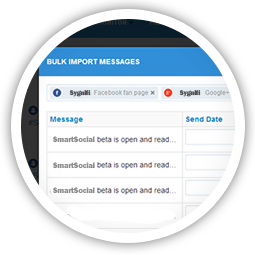 Then, fill up your queues by bulk importing these messages into SmartSocial. Tweak the publishing times and frequency on your queues to optimize your campaign once it's live. 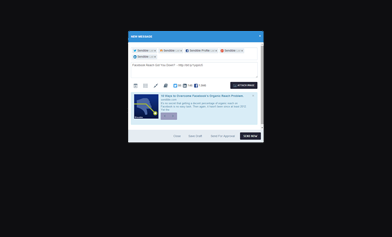 SmartSocial's advanced Compose Box, makes it easy to create content that displays beautifully across multiple social networks and channels by adapting to whichever social network you're targeting, so you can always be sure your posts will look great! Build shared content libraries for your clients and team members. 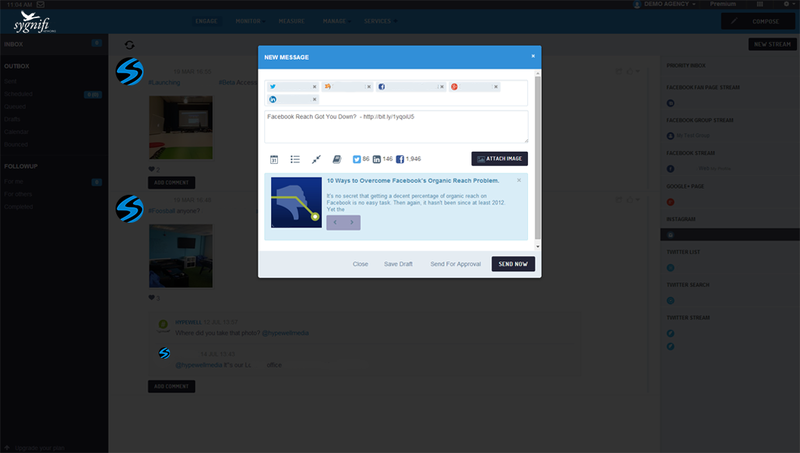 Use SmartSocial's content libraries to store content that can be re-used later by team members or clients. Share libraries you've created with others to enable them to contribute content. 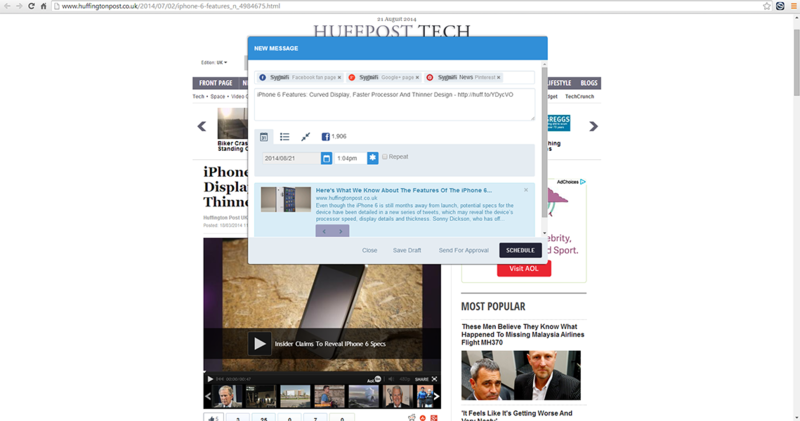 Share content directly from your browser with our Chrome Plugin. 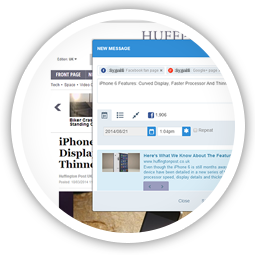 Install our Chrome Plugin or Bookmarklet and take SmartSocial with you when you're browsing the web. 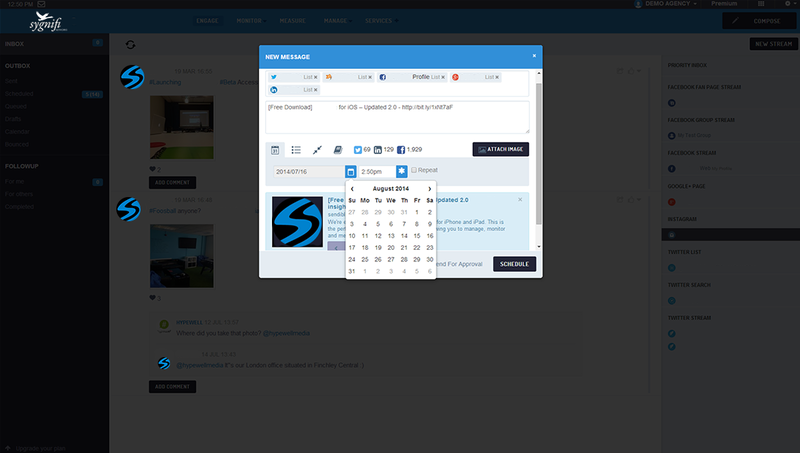 If you see something you want to share, simply tap the SmartSocial Compose Box and publish now or schedule for later! 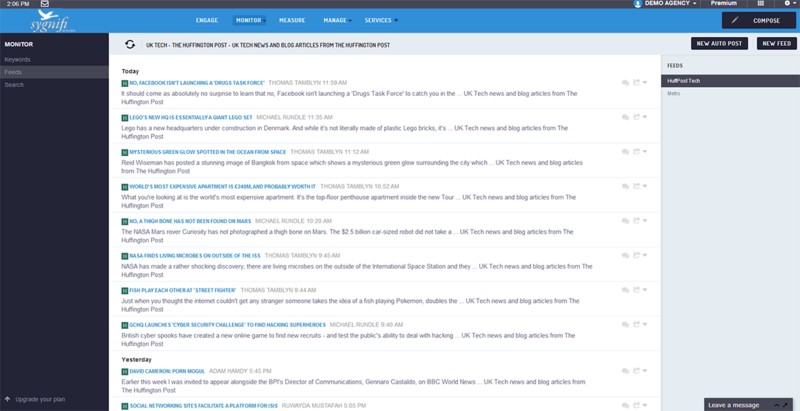 Distribute content that's relevant to your audience from our RSS reader. 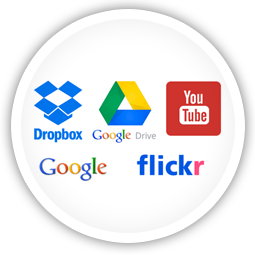 Share content from DropBox, Google Drive, Flickr & YouTube accounts. 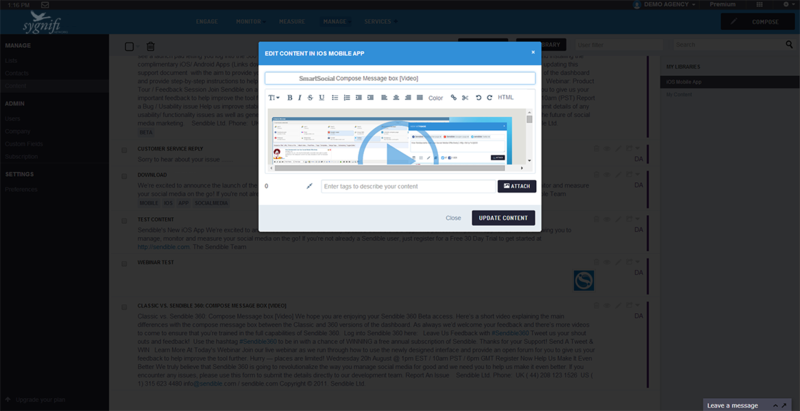 With so many integrations, SmartSocial ensures that you can access your content no matter where it's stored. 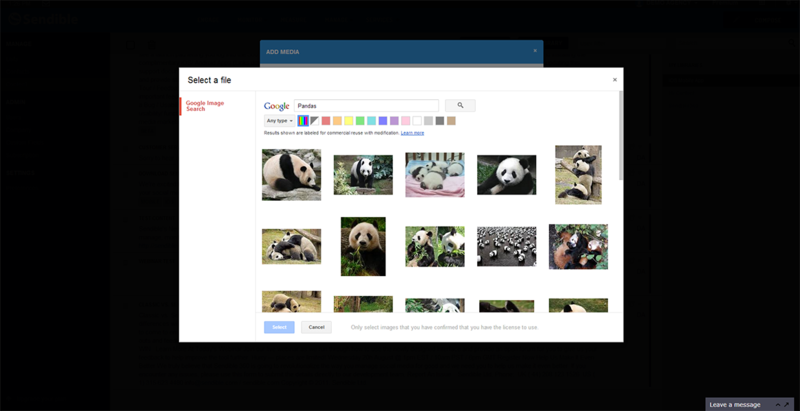 Simply connect your DropBox account to share pictures or connect your YouTube channel to post videos to your social networks.